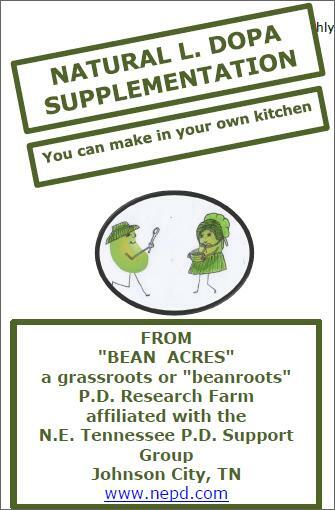 Thank you so much for your wonderful website on the fava bean tincture. It has been a great help and inspiration (source of happiness and hope) for me and my father. Dad is 66 years old and has been diagnosed with Parkinson’s last year. He is not taking any medicine, but is doing all he can to lead a natural and balanced life. 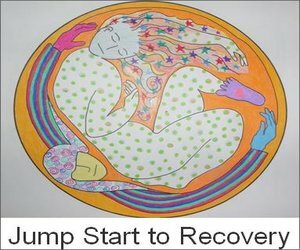 Both he and I believe that he can recover from the disease. 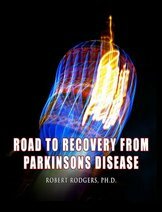 We found the link to Aunt Bean’s blog about fava bean tincture from www.parkinsonsrecovery.com. I have a few questions to Aunt Bean about the tincture making process, and really appreciated if you could forward my email to her. My dad has quite severe tremor in his right hand and also suffers from loss of power in that hand and overall low energy levels. Since he does not take any meds (I am so proud of him), we would be very grateful for replies to these questions. We live in Finland and because English is not our native language, I did not understand the recipe so well. So many thanks for such wonderful work! I read the instructions about how to make tincture about sprouted fava beans. However, I did not understand everything and have a few of short questions about the process. 1) Do you sprout dried fava beans? ** Is it fine to use dried fava beans for sprouting if one does not have an access to the fresh kind? 2) After the 4 day-period of sprouting the beans you write that you mashed sprouts in a jar with 3/4 C brandy. Do you mash both the bean and the sprout or do you separate these? ANSWER: I did mash the bean and the sprouted growth. One batch I let grow several inches in a shallow bowl (rinsing daily) and cut up the whole bean and plant that had started. These tinctures have not been tested for l-dopa content yet…..but, praise God, I may have a professor now that is interested in natural l-dopa at the college who may test for me when he returns from India the end of January…first chemist yet that showed an interest! 3) I do not understand what 3/4 C means (sorry). Is it the same as centiliters or another unit? 4) What do you mean by shaking it for a month? Can I just leave the mixture at room temperature (or cold?) and shake it 1-3 times a day or do you mean something else? 5) You write that a person could start with a few drops. Does this apply for both the clear tincture and the sediment or should one be more careful with the sediment i.e. if it’s more concentrated? 6) My last questions are about the part of the plant that is best to use for the tincture. In the recipe I read about sprouts, but in the other parts of the blog I find some information about using pods or flowers and young leaves of the fava bean plant. What is best? supplement usually is a cluster or bud at the top of each stem. before putting them in brandy to tiincture. Is it possible to grow the beans inside an apartment in pots? Sorry to post you so many questions and many thanks in advance. We really appreciate it. ANSWER You are very welcome, let me know if this answers your questions sufficiently. I am thankful to be able to share what knowledge I have gained over the past 5 and a half years of growing favas. . Also have him try eating pumpkin seeds and passion flower extract for the tremor/ I also eat papayas, if he doesn’t have a latex allergy. Hello. If I need to make a tincture out of sprouted beans ( these will be the beans and a little green sprouts coming out of them), do I need to dry them first or mash and cover with brandy. Do sprouted beans have same amount of levadopa. Also is it possible to make powder from pods using dehydrator. My parents have access to fresh fava beans, but it will only last for the summer. How do I preserve large quantity for the next 9-10 months?